To celebrate their partnership and commitment to graffiti and street art culture, Montana Colors and Beyond the Streets are unveiling a series of artist spray paint cans by Jean-Michel Basquiat and Keith Haring. Montana Colors supplies spray paint to be used by artists for murals and installations worldwide, but we wanted to go one step further and find a way to honor some of the art form’s best from past and present. 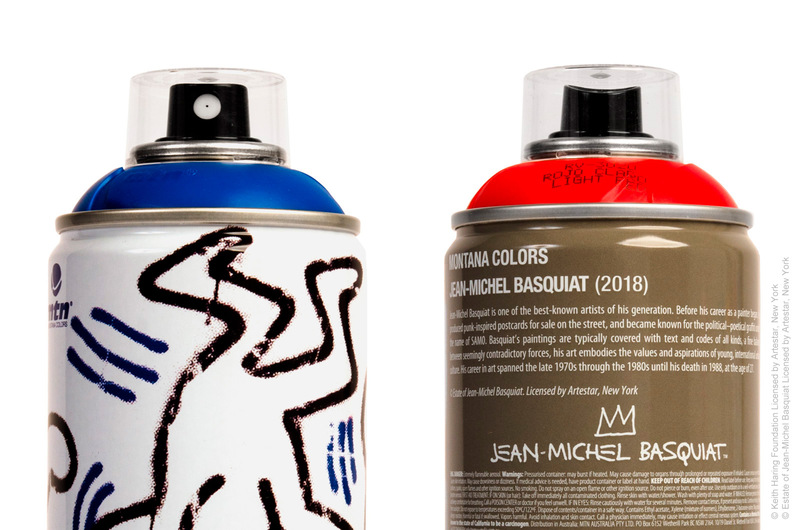 The Jean-Michel Basquiat and Keith Haring release is a partnership in collaboration with Artestar, which represents high-profile artists, photographers, designers, and creatives. 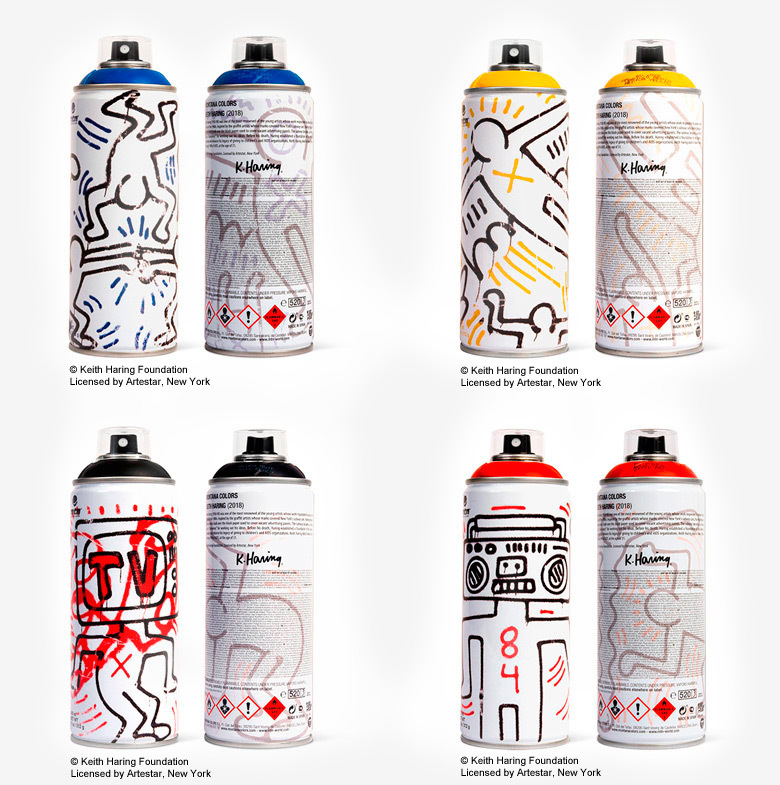 Keith Haring is honored with four unique collectible cans. Keith Haring (1958-90) was one of the most renowned of the young artists whose work responded to urban street culture of the 1980s. Inspired by the graffiti artists whose marks covered New York’s subway cars, Haring began to draw in white chalk over the black paper used to cover vacant advertising panels. The subway became, as Haring said, a “laboratory” for working out his ideas. Before his death, Haring established a foundation in his name to maintain and enhance his legacy of giving to children’s and AIDS organizations. Keith Haring died in New York on February 1990 of AIDS, at the age of 31. 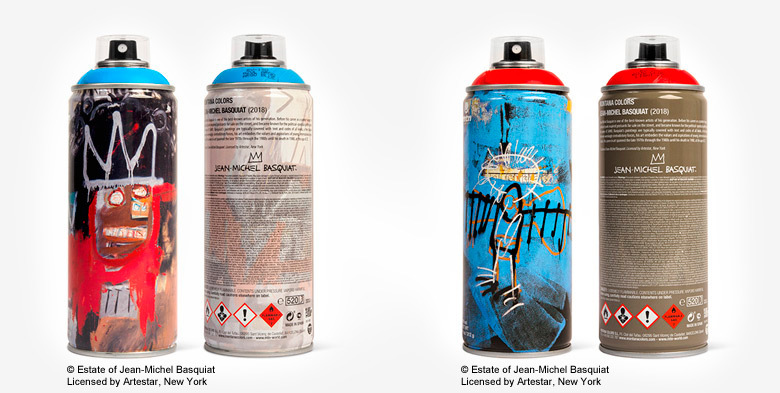 Montana are releasing two cans featuring notable Basquiat works where spray paint was used as one of the mediums.